A naive girl of eighteen is trapped in a dungeon, which changes her and her capturer’s life forever. Afar, tucked away in the sleepy terrains of a town in Kerala, a married woman is determined to revisit a forbidden part of her past. A model-turned-MBA aspirant is scourged mentally for a decision she almost made three years back. Back in the less happening village of Kanyapuram, an aspiring author loses a copy of her very first manuscript. 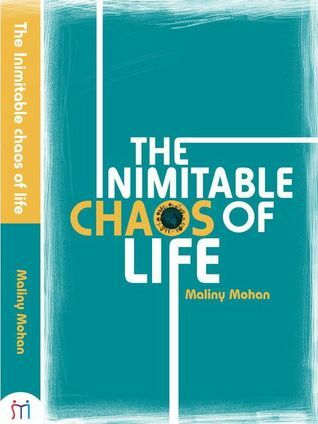 True to its title, ‘The Inimitable Chaos of life’ is an amalgamation of enthralling stories borrowed from the chaotic pages of life, which allure you to relive the multitude of unique emotions humans are made of. 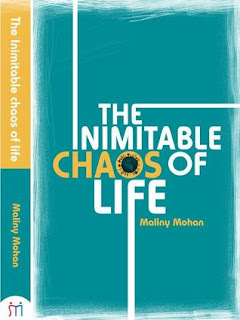 Maliny Mohan is a doctor who resorts to appeasing her passion to write during her leisure times. She was born and brought up in Kerala, where she spent her summer days in the exhilirating company of her friends and luscious greenery. She has contributed to a short story anthology, titled 'Love and other enchantments', brought out by a group of five authors - The Fictitious Five and another titled ' Colors- Different shades of love'. An avid blogger and an ardent admirer of subtleties,her dream of becoming an author sprouted wings in the pages of her blog. A piscean by birth, she is passionate and strives hard to listen to her heart, every time it beats out of sync. Her tales mirror her eye for beauty in its varied forms, sometimes resplendent with the most vibrant of hues and at other times poignant, enriched with subdued shades of grey and black. Apart from being passionate about writing, she is also a trained dancer, lover of solitude, bibliophile, tea-lover and an amateur poet. I have been a witness to Maliny's writing journey from being a blogger to a published author today. And it can be easily said that she has grown in her writing over a period of time, her writing has developed more depth and there is a certain poignancy with which she approaches her stories. The narratives have the power to make you re-look at things around you and make you rethink about life at large.There is all this and much more in this debut work of hers which is a collection of 14 heart warming stories with varied themes ranging from love, betrayal, jealousy, hatred, death, life and a lot more. To start with the cover, it is a perfect synonym for all that the author stands for. Simple, yet evocative and one that makes you curious. This is one cover that has a pleasing effect on the reader at the first glance. The author managed to mesmerize the readers with the creative title that she gave to this book. It is one that makes you halt and ponder over it for a while before moving on to the evocative stories.Starting with a tender story Sara which depicts a brother-sister bond and ending it with sombre For a reason she takes you on a roller coaster ride of emotions with stories powerful than the other. I really enjoyed reading all those snippets of life she had woven so intricately in her words. Page 130 - "Opened her dairy" instead of diary. Story # 7 - A second chance - The main character's name has been constantly changing from Kartik to Karthik all throughout the story. Also, at quite a few places the language looked a bit forced where the effective meaning could have come across a bit more easily than the way it was attempted. Long winding sentences have always been a huge turn off for me. Having said this, I firmly believe this book stands apart from all the other short story collections purely because of its quality of stories. Striding away from romance, thriller and other such cliche genres, the author has taken "slice of life" as an inspiration for all her stories making it an interesting read. Overall, a book I would recommend to people who want a quick read. This promises to brighten up any dull day! 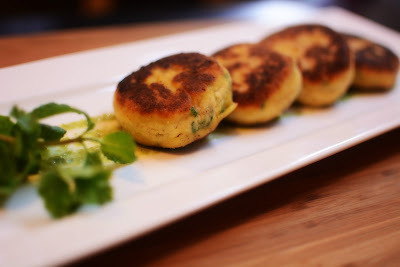 This book is like Dahi ke Kebab - Soft, tender, melts in the mouth and warms up your insides on a cold rainy day!